Gorgeous pool home with 3 bedrooms, 2 baths and a den. 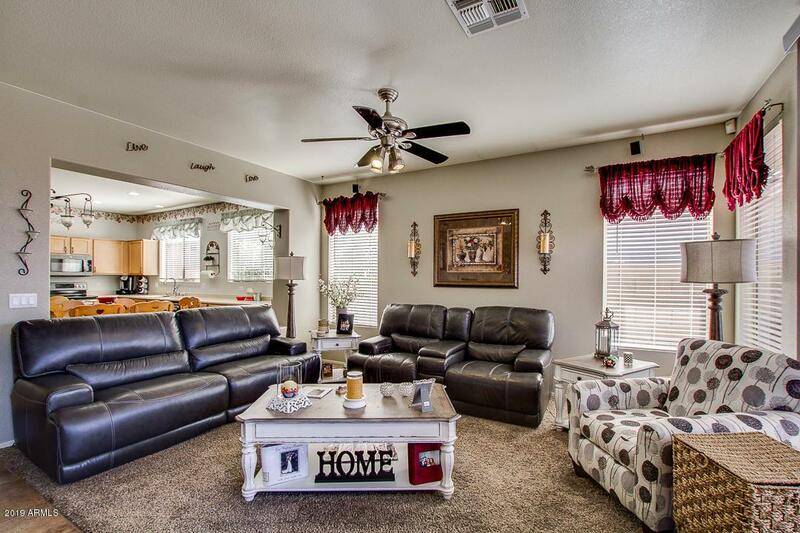 Large living room plus family room, newer flooring, ceiling fans throughout, and newer water heater 2017. 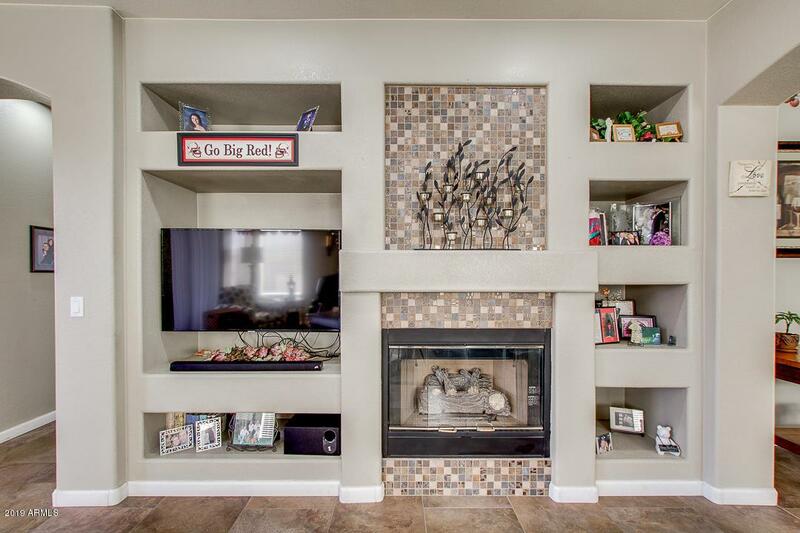 Family room off of kitchen has a fireplace and decorative niches. Island kitchen features newer matching appliances, pantry and dining area. Large master bedroom with en-suite boasting separate shower/tub, dual sinks and walk in closet with custom shelving. 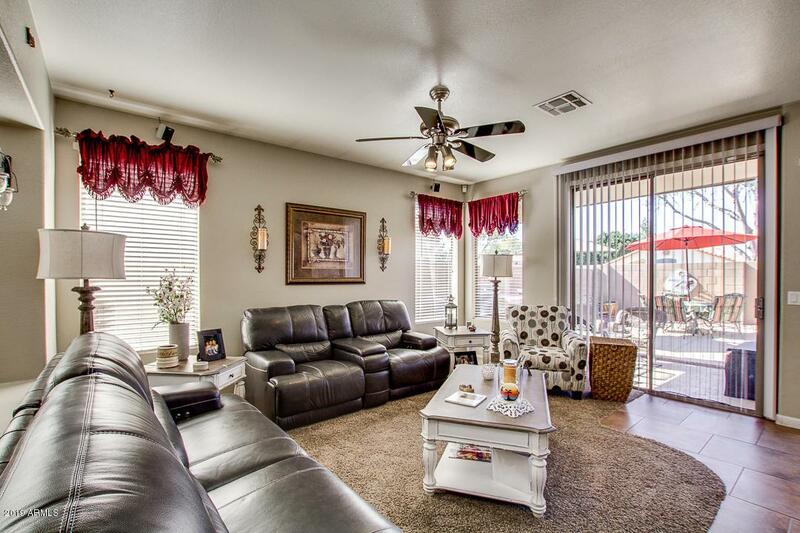 Easy to maintain backyard with sparkling pool (new pump), covered patio, built in BBQ, and grassy area for pets. Great community with walking paths and park. 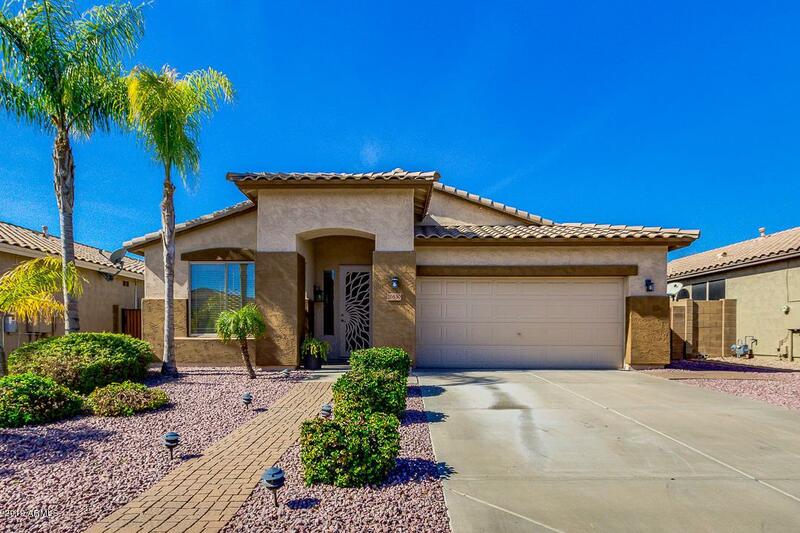 Close to shopping, dining and the Loop 101.